She's bold, ferocious and fearless! We all know and respect Kangana Ranaut for being one of the most courageous actresses in Bollywood. She has never shied away from expressing her opinions or standing for what she believes in, even if it upsets the head honchos in the film industry. 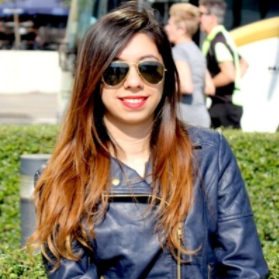 She's the kind of boss woman we all aspire to be! Of late, the Manikarnika actress has been in the news almost every day. For extending her support to the crew member who accused director Vikal Bahl of sexually harassing her, to being vocal about how he also harassed her every time they met on the sets and also hugged her inappropriately. And now, Kangana's latest statement has caused a rage in the cyberspace amidst all the #MeToo incidences that have come up. In an interaction with a leading news channel, the actress took a dig at alleged former ex Hrithik Roshan by saying, "There are many people like Vikas Bahl, he is not the only one. We still have a lot of work to do it so we should not start the celebrations as yet. We have a long way to go. We have to make this place absolutely safe for women. There are men who make false promises of love and marriage to a girl to get them into a relationship that is also a type of harassment. There are married men keep their wives as trophies and keep young girls as their mistresses like Hrithik. They lure young beautiful girls with the promise of marriage and later try to prove them mad. Nobody should work with such people. They should be boycotted." We all know about their feud, don't we? It was one of the most controversial spats of Bollywood last year. The battle of the exes started with Kangana addressing Hrithik as her 'silly ex'. But the statement gained momentum when Hrithik took major offence and sent Kangana a legal notice demanding an apology. While Kangana spoke about how he lured her into marrying her after his divorce with then-wife Sussanne Khan, Hrithik denied it completely and tried to prove that she's just imagining things and is a mad woman. 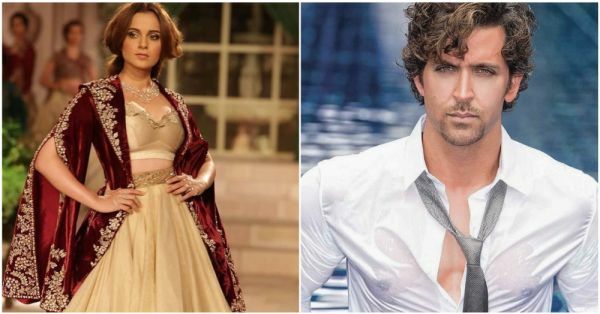 Looks like Kangana will never leave a chance of taking potshots at Hrithik! Meanwhile, Hrithik took to Twitter to say that he's unwilling to work with someone who was guilty of sexual misconduct. He was referring to director Vikas Bahl with whom the former was working on a filmed titled Super 30.